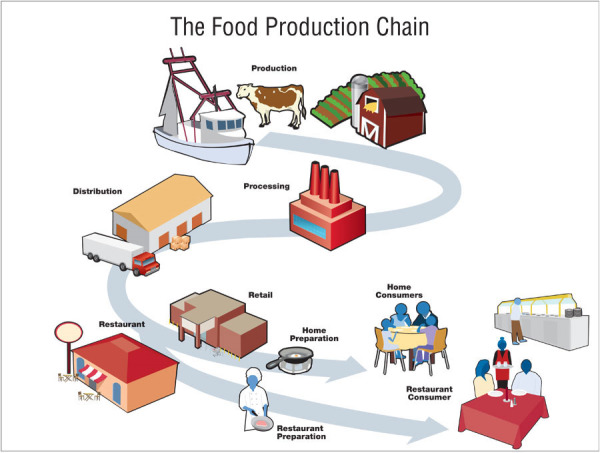 Traceability in the food production industry refers to the ability to track any food through all stages of production, processing and distribution. This includes tracking across the importation and retail steps of the production chain. This is achieved by having documented recorded information. At any point of the supply chain it should be easy for a business to trace contamination either one step backwards or forwards and thus possible to continue this process until the end of the chain. This element of traceability is crucial not just in finding the source of any problem but creating strategies to minimise the risk and fallout from any breach in standards. 1. What does Traceability Mean for Businesses? Name and addresses (and any other relevant contact details) of suppliers and a description of all the products or inputs supplied by them. Name and addresses of your customers and a description of the product supplied to them. The transaction or delivery date of the product. Any other relevant production records. Most businesses already create and store a lot of this information for purposes other than traceability, be it for billing purposes or ordering. Thus establishing traceability measures can to some extent be put down to compiling already available information into a valid compliant document. 3. What are the Australian Food Standards Code Requirements? The major standards guiding all your traceability efforts will depend on your sector. For example seafood and dairy have their own specific requirements, as do some other areas we will list further down the page. However, generally the major compliance factors are found in chapter 3 of the code. This includes the “one step back and one step forward” elements, particularly food receipt found in Clause 5 and food recall found in Clause 12. Below is a more detailed description of those two elements. The prescribed name or, if there is no prescribed name, an appropriate designation of the food. All this information needs to be accessible to know what, how much and where food products need to be recalled. As mentioned earlier it is important to consider if there are any specific requirements based on the stage of the supply chain your business is in and the sort of foodstuffs you deal with. Primary production needs to be aware of the PPP standards currently being developed by the FSANZ. These will take over as a specific primary production and processing standard once complete. Businesses in those sectors will have to comply with the new standards once enacted and should keep their eyes out for the change. For example, there are a range of standards to keep in mind when it comes to working with food: whether it is a product which requires freezing or to be kept refrigerated during transport and / or storage. Meat products, fruit and vegetables, dairy products all have strict guidelines and one area of your processing or storage facility operating inefficiently can create a large waste and loss of profits; even more dangerous, if it goes unnoticed, can be very damaging for your business if you are supplying contaminated produce to consumers. Another example, milk, has to be kept at no higher than 4 degrees Celsius between the farm and the milk factory where it is to be packaged. Any temperature gain along the way could contaminate a large amount of produce (and any other vats of milk which it comes into contact with) and create huge loss at any stage - whether at the farm, on the milk tanker vehicle, at the milk plant or on the shelf in the supermarket. 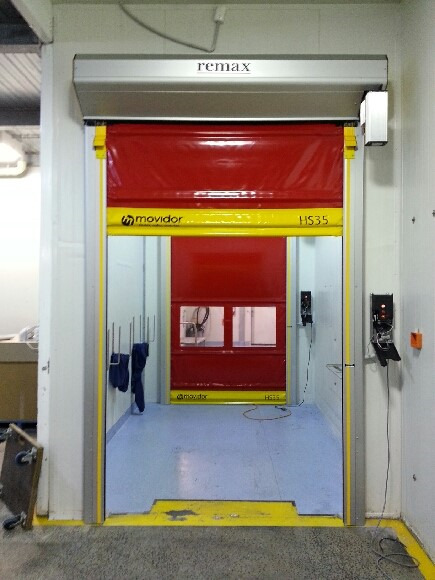 To assist with the cold storage sector, there are many products available which are constantly being updated to make it easier for each stage of the journey to proceed, specifically to maintain temperatures in facilities and vehicles and reduce temperature loss, such as Thermal Swingdoors, Thermal High Speed Roller Shutters, Movichill High Speed Rapid Chiller Doors and even Polar PVC Stripdoors which can be used in freezers reaching -40 degrees Celsius. These products increase efficiency and provide long term benefits to the business. There are also specific information requirements for both retail and non-retail sale food specified in the labelling standards. Of particular note is Food Identification Requirements (Standard 1.2.2) which covers requirements for the name of food, lot identification and name and address of the supplier. Good design is crucial to starting out with a strong contamination prevention strategy. However, most businesses find themselves at some stage making retroactive changes to keep up with standards. Facilities need regular updates to keep up with their food contamination policy standards and to stay well ahead of their competition. Wear and use will solely erode the facility you have and it is important to keep the points of wear compliant and efficient. Have a look at how Murray Goulburn updated the structural contamination prevention in their Koroit and Cobram facilities for an example of how installing the right doors and materials can increase not only your business' contamination prevention but also its efficiency, reliability and speed. Hopefully this blog has helped clarify the reasons behind traceability and identified some of the important parts of maintaining a compliant system. 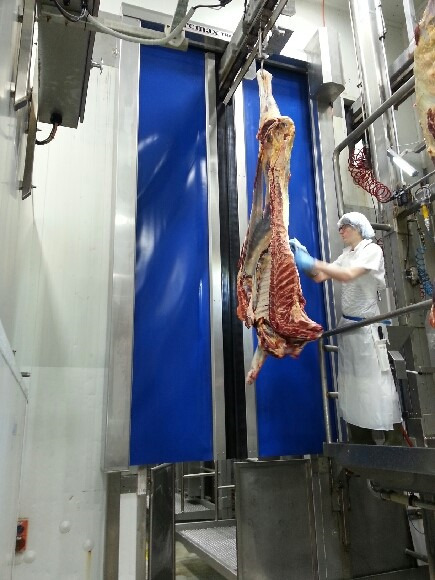 If you are in the meat or dairy production or processing industry, please have a look at our dedicated post, examining the key changes and guidelines you need to consider by clicking here. Or if you are concerned about contamination more generally have a look at our free contamination policy guide below.